We saw the leaked images before Christmas and wished to Santa that it was real. 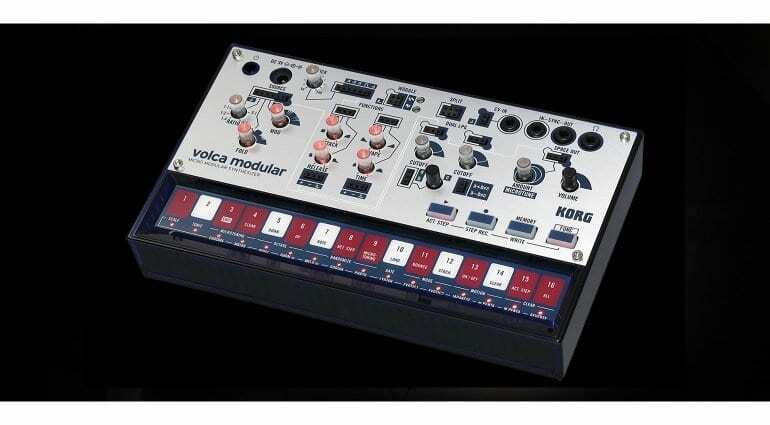 Now Korg has revealed possibly the most magnificent of all possible Volcas, the Volca Modular. 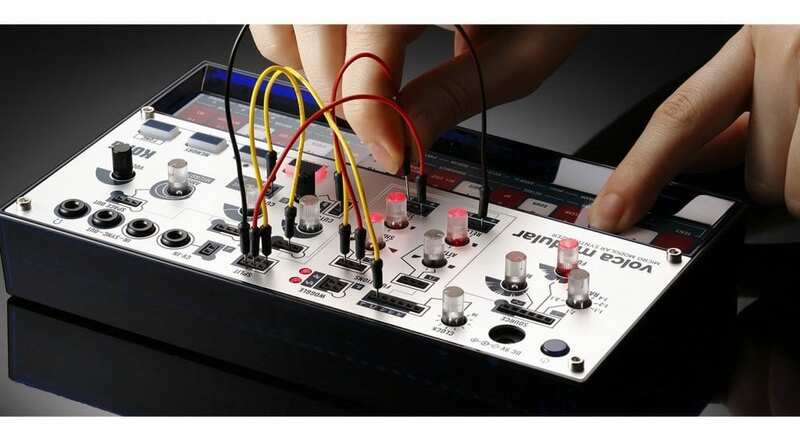 They are calling it the Micro Modular Synthesizer and it is indeed a whole modular world in a cute little box. 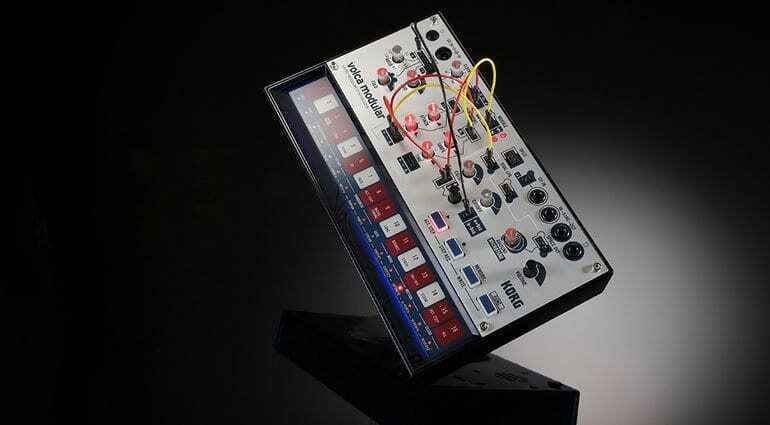 The colour and styling perfectly reflect the Buchla Easel which is the iconic modular synthesizer that defines much of what we mean by West Coast Synthesis. This is completely awesome! 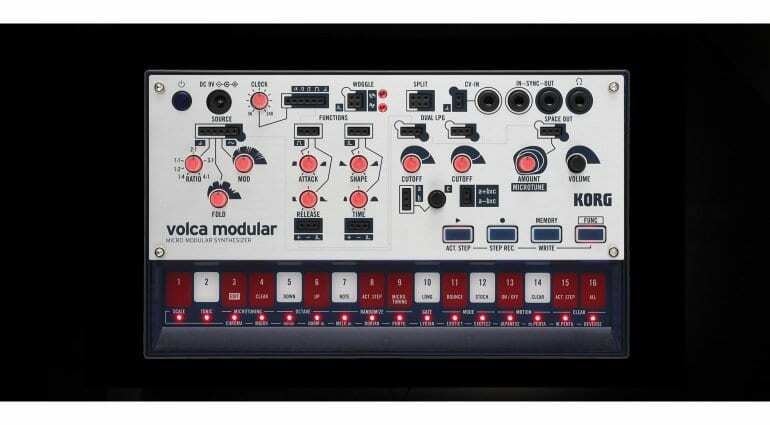 Volca Modular features 8 modules and 50 patch points. It’s semi-modular so it is pre-wired behind the scenes to give you instant noise generation without having to patch a thing. But these are all bypassed once you start patching. The patch cables are of the “pin cable” or “patch wire” variety that we see in synthesizers such as the Bastl Kastl or AE Modular systems and are perfect for a synth of this size. 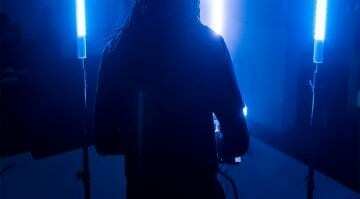 Whereas East Coast synthesis is all about analogue oscillators and subtractive filters, West Coast synthesis focuses on adding overtones and playing with harmonics. East Coast is much more common and familiar to us as the building blocks of modular and non-modular sound making so it’s very interesting that Korg has decided to tackle the more esoteric and rarer West Coast form. Normally Buchla synthesizers cost many thousands of pounds and here we are with a Volca version for a couple of hundred – it’s extraordinary. You get a triangle oscillator with FM modulation routed through a wave folder to add overtones and define the character of the sound. There are two “Function” generators that can be envelopes or loop them to produce LFOs and even audio rate VCOs. The “Woggle” random signal generator can take sample & hold either stepped or smooth to trouble the controls of other modules. “Dual LPGs” (low pass gates) provide that Buchla bleep sound of being plucked somewhat naturally. “Split” is essentially a mult which splits a signal into two. “Utility” can mix either audio or voltage to bring things together. Then there are some effects in the “Space Out” reverb section. And finally “Sequences” offers an internal 16-step pattern sequencer with parameter automation. 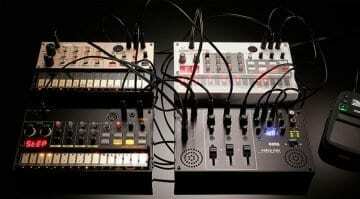 It’s a lot of synth in a small box which is what the Korg Volca range has always excelled at. It’s easy to see this as a gateway to “proper modular” but I don’t think that’s ever been the point of the Volca. This is an awesome synth in its own right and shouldn’t be labelled as a mere stepping stone to something more “authentic”. That said if ever there was a way to introduce more people to the concepts of modular synthesis then this is it. 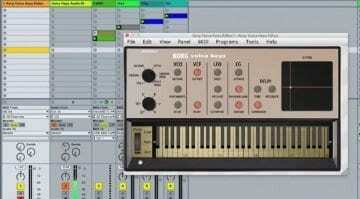 Korg has a knack for an easy workflow so there will be less head scratching out of the box. It’ll come with manuals and patch examples, the internet will fill up with people showing you how to use it. Korg has the sort of reach that’ll put this into every music shop in every town and we’ll all be able to have a go. 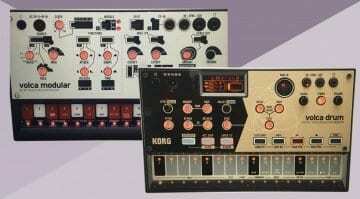 Best Volca yet and will hit the shops very soon for a very reasonable (if slightly more than other Volcas) £199.